Kindra launched the iPhone/iPad version of our app in December in the app store and has been hosting monthly Kindra connection parties in Los Angeles since November. Watch the video from our February event to see the fun, warmth and connections we co-create. Our vision is to create an online/offline community that values authenticity, kindness, individuality and communication. To this end, we created these 10 principles for Kindra. We will be launching the Android version of the app in April, and expanding to San Diego, the San Francisco Bay Area, and New York this spring and summer. We will also be adding “friendship” connectivity on the app. If you are interested or know someone who might be, please email Gina@Kindra.life. The Kindra app is different from other dating apps. Express yourself as a whole person with our profile collage. We use multimedia profile collages to share yourself as a complete person. Each box in the collage is a response to a theme, such as personality, values, fun, sexuality, work, arts, and wellness. 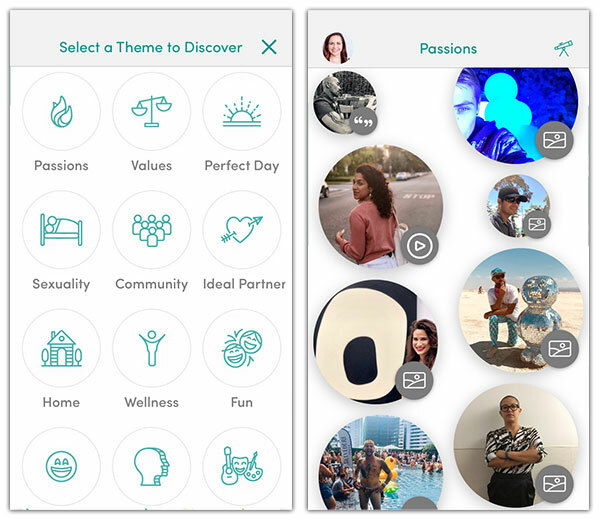 First, you can use themes to discover people through their response to what is most important to you. If you care most about a person’s personality, values, or passions, you can start with those themes. Search by themes to see responses from potential matches. Second, you can find people based on events that you are both planning to attend. Mark yourself as attending and see who else is going to the same events. You can reach out to people before, during, or after an event. Mark yourself as attending and see who else is going to the same events. If you’d like to help build our community or know someone who would, please email Gina@Kindra.life. We look forward to growing with you!